Are Your Air Conditioner's Best Days Behind It? Your AC’s working — just not as well as it used to. The system runs longer even on mild days, and it might not even reach your thermostat’s target temperature. You might be able to fix the issue simply by cleaning your system’s condenser coils or replacing the air filter, but the poor performance could just as likely be caused by leaks or malfunctioning equipment. Rising utility bills usually go hand in hand with performance issues, and if your electric bills have increased every summer for the past few years, it might be time to call an AC company to explore your replacement options. 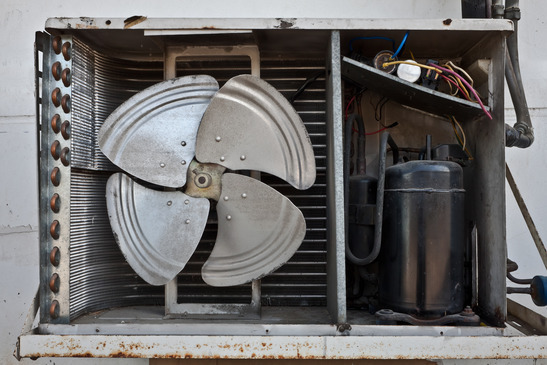 Maintenance will help keep an air conditioner operating at peak efficiency for up to 10 years, but at some point, all the maintenance in the world won’t do your HVAC system any good. Sinus headaches during the summer? Your AC may be to blame. Any decent HVAC system will remove the vast majority of allergens and pollutants from the air, so if you’re sniffling and sneezing inside your home throughout the day, your AC isn’t doing its job. Some AC repair parts, like air filters, can improve your indoor air quality, but humidity issues often require extensive repairs. Air conditioners can be noisy, and if your system has always made a fair amount of noise, you probably have nothing to worry about. Excessive HVAC noise is usually caused by improperly sized ducts or indoor coil problems. Most homeowners simply learn to live with their small ducts, and besides a slight hit to your system’s efficiency, you won’t run into any issues. However, you’ll probably want to replace the entire system when your indoor coils start to go. Does your outside condensing unit look like an antique? It probably runs like one if it’s more than 10 years old. Your AC isn’t some vintage car that you keep in pristine condition and locked up in a garage. It’s a workhorse that runs 24/7 to keep you cool in the summer, and despite your best efforts, it won’t last forever.